Living Well Medical in New York City’s SoHo/NoHo area has quickly become a fixture during its years of operation (formerly Downing Chiropractic & Pain Management Center). Whatever your pains, we use the latest in technology and treatment methodology to relieve your pain and get you back on track. With the hyper-fast pace of life in NYC, we can’t afford to be down and out for long. 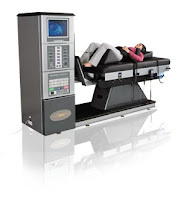 As the first provider in the city to add spinal decompression therapy with the DRX9000, we made sure to incorporate the latest in herniated disc treatments into our already effective treatment protocols. We even went so far as to patent my techniques! Our results have been just that great; (not to toot my own horn too much, but we have patients across the city who have been able to regain a lot of what they lost thanks to our programs. Spinal decompression is a technology more or less focused on disc irregularities like herniation and bulging that result in nerve impingement and compression. Most importantly, it does so without any sort of surgical or invasive methods. For many of my patients, that’s a big deal. To be able to avoid back surgery is a huge weight off of a person’s shoulders, so needless to say we were excited. 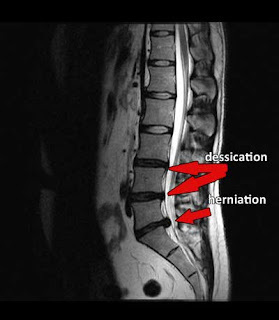 Spinal discs, being a mostly avascular (lacking a blood supply) structure, can be particularly intractable. Decompression with the DRX9000 basically helps the disc function like it used to again. By ‘pumping,’ the discs with the computer-controlled, precise stretches, discs are able to ‘breathe’ more. It’s sort of like CPR for your spine. Having said all that, there are inevitably some cases in which spinal decompression isn’t the answer and is in fact contraindicated. You need to be medically cleared before starting a treatment program. So if you have a back problem that you wonder about, spinal decompression could be a potential treatment option, but you need to talk to a doctor first. Come on over to Living Well Medical in New York. We want to help you stop the pain, and this innovative technology may be the answer for you. Call us today at 212-645-8151. Arm Pain: What Does it Mean?